Based on the 1st in the series of books by Anthony Horowitz. Alex Rider (Alex Pettyfer) is a normal school boy, with a normal life. Until his uncle Ian Rider (Ewan McGregor) dies. Alex's life changes forever, as he discovers that his uncle was not, as he thought a banker, but a super MI6 agent who was shot on the way back from his latest assignment. 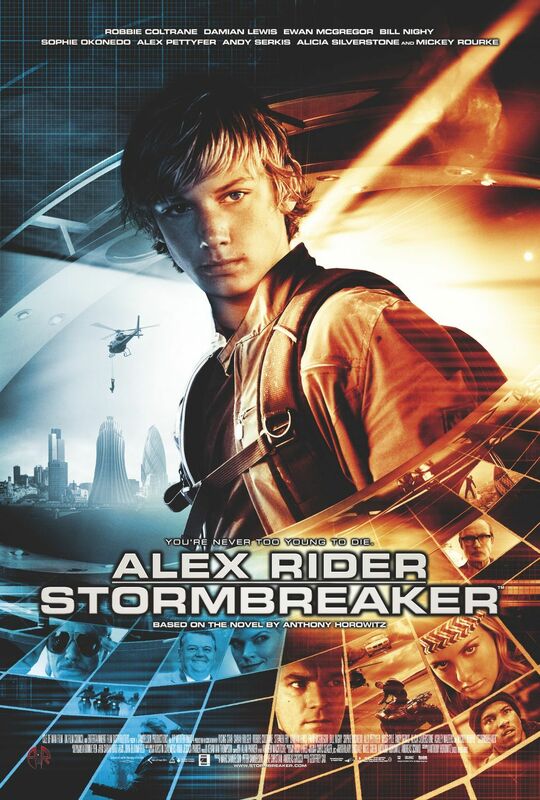 Alex is cleverly manipulated by MI6 to work for him, his mission is to find out what's going on with the Stormbreakers, high tec virtual reality computers that have some kind of virus in them. The main suspect is creator of the Stormbreaker, Darrius Sayle (Mickey Rourke). After a shocking discovery, that nearly causes Alex to lose his life, Alex must return to Britan to stop Sayle and save England. Can he succeed or will his first mission become his last? Action packed fun for older children and adults, 18 July 2006 Author: lyndon_gray from London, England I was at the World premiere in London and I was apprehensive about watching a film adaptation of a book as some of them work and others don',t. This one definitely does. From the first minutes of the film, you know that you',re in for a thrilling adventure. 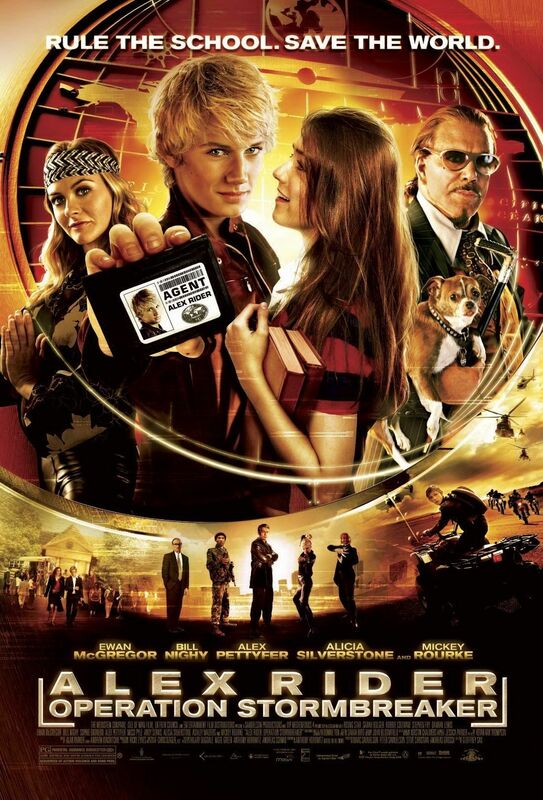 Alex Rider, played superbly by Alex Pettyfer, is very believable as a school kid thrown into the deep end by Bill Nighy who hams it up brilliantly as spymaster Alan Blunt. 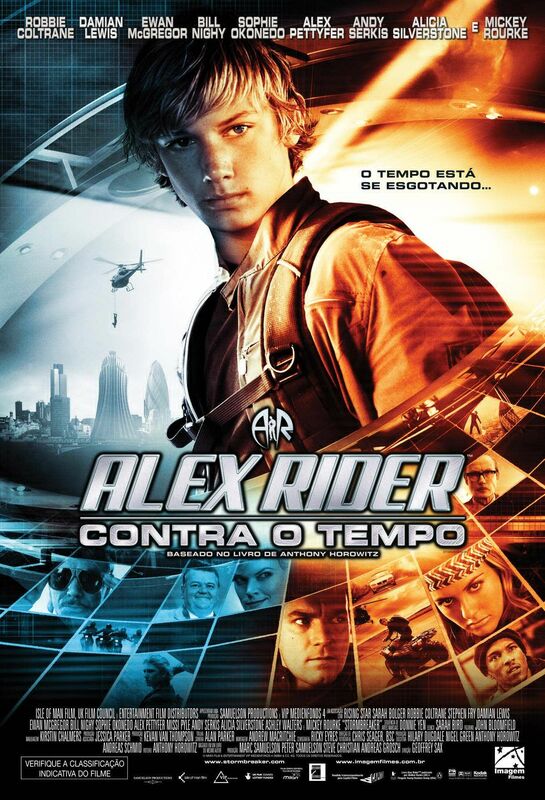 Alex Rider is a deadly weapon on two legs as you',ll see as the film progresses. Marvellous Micky Rourke, plays the evil villain who keeps a very unusual and deadly pet and looks as if he',s just stepped off the set of a Revlon ad (you',ll see!!). There',s lots of action, some love interest, but that',s not overplayed and although some of the evil characters look as if they',ve been loaned out from Cirque Du Soleil, including Micky Rourke, they play their parts as they should be, comically but with a twist of evil thrown in. It all works very well but Alex Pettyfer is a revelation. He plays the part coolly, calmly and with a great deal of conviction. I think Sean Connery would be proud of him. The film throws in a few James Bondesque clich�s and there is one scene in the film which will remind you of a particular person from Goldfinger !! All in all highly enjoyable, my 11 year old niece and 14 year old nephew and their friends really enjoyed it and I think you will too.